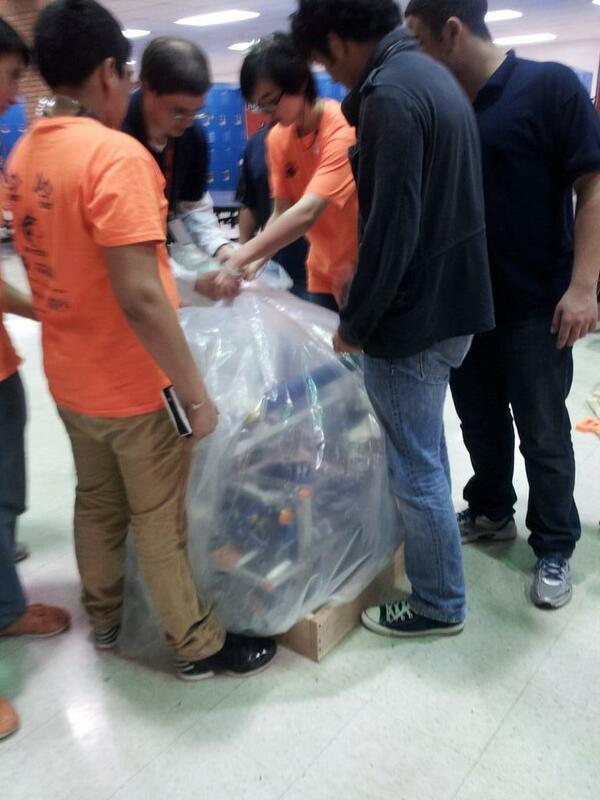 Today is the infamous bag-and-tag day for the FIRST Robotics Competition. For the past six weeks and three days, students have been obsessed with designing, building, and testing this year’s robot, Annie, for the Aerial Assist game. By midnight, the robot must be sealed in a large plastic bag and secured with a security tag. Despite having Annie bagged, we will continue to work just as hard over the next two weeks until our first competition at the Lake Superior Regional in Duluth, MN. I’ll share more details of Annie later as the media team is busy working on the photos and videos. The bag was sealed at 11:57 pm!